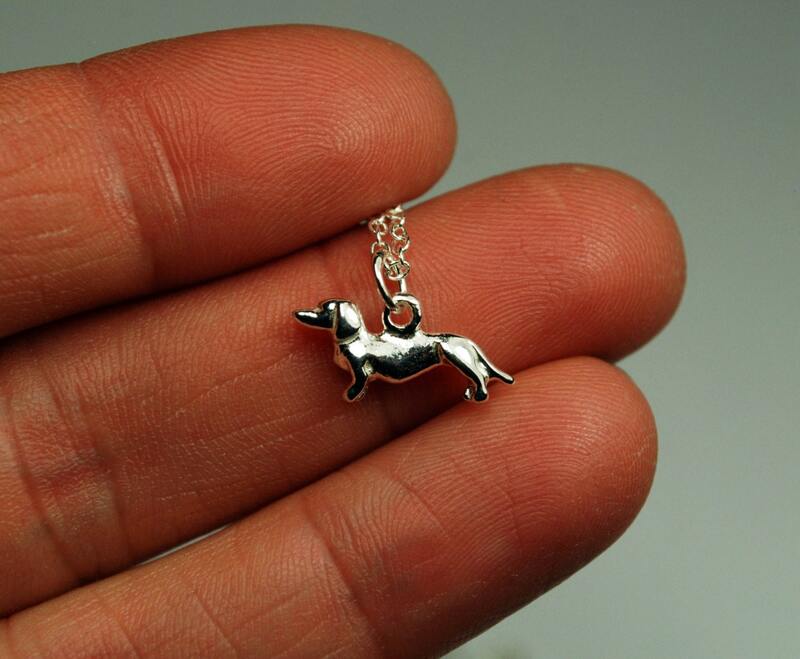 I originally sculpted this little dachshund as a custom birthday necklace for a friend to give to his special lady! 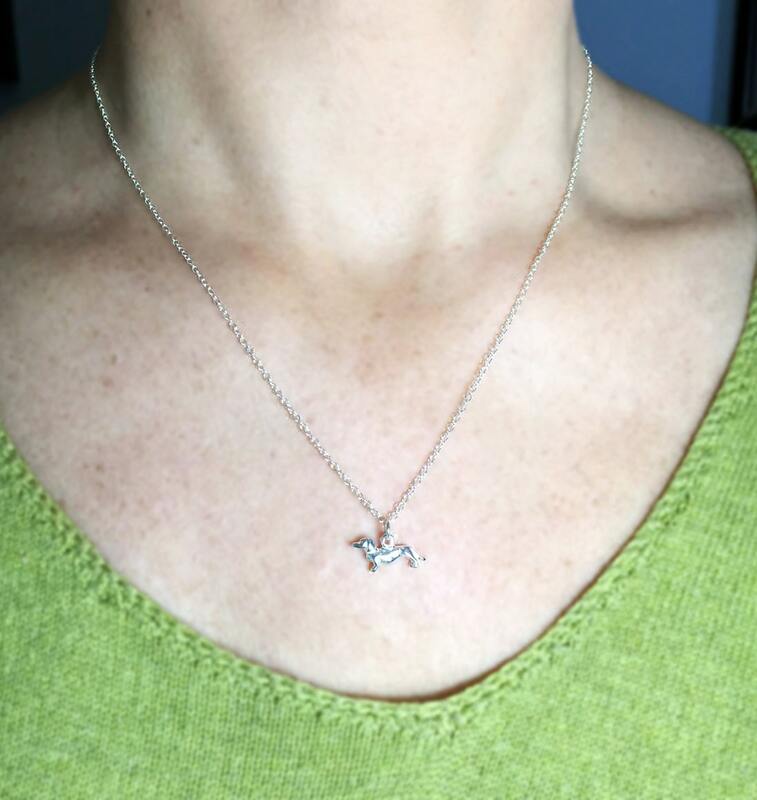 I really liked how it turned out (as did they), so I decided to make a few more. 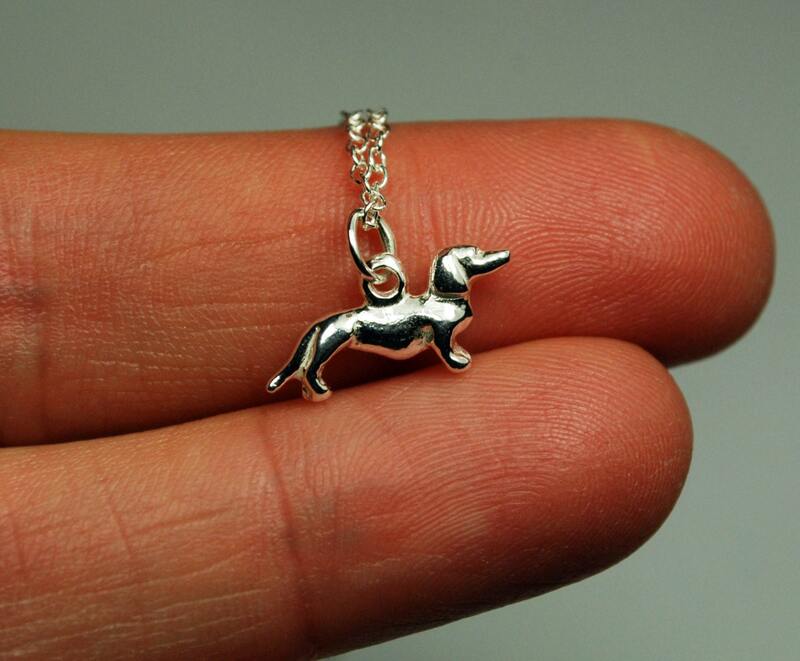 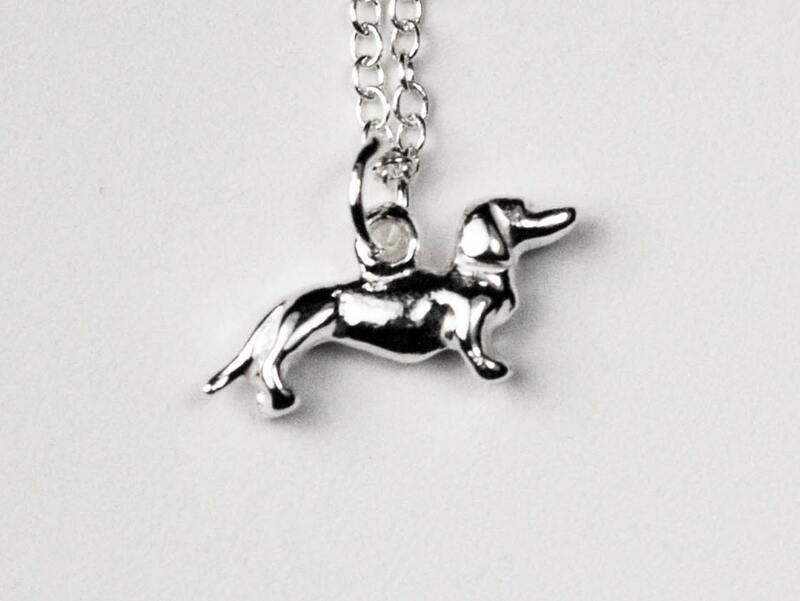 The dachshund is cast in solid Sterling Silver and measures approximately 14.5mm x 6.9mm. 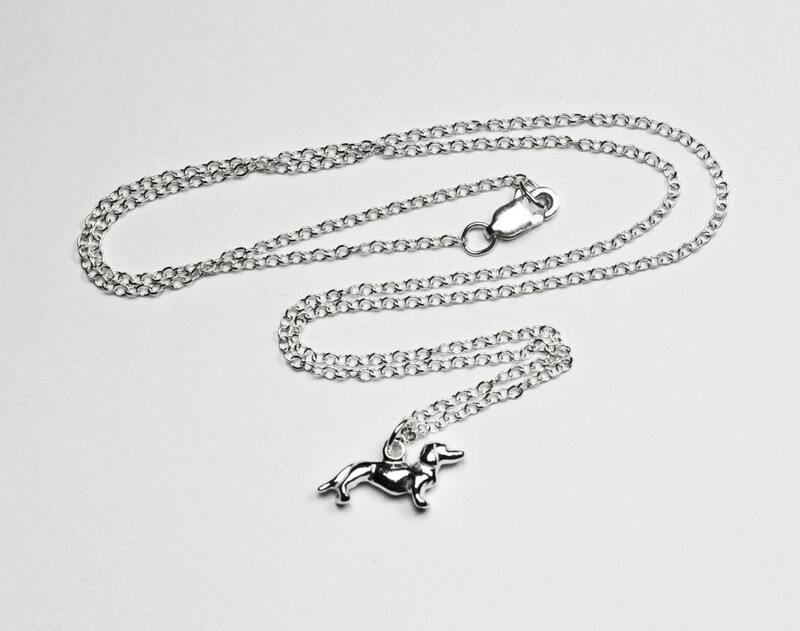 It is available as a charm only (on a jump ring) or hung on an 18" thin cable link Sterling Silver chain.